Crucial October 29th hearing for internationally recognized political prisoner. Long prison sentences in the United States are having a minimal impact on crime prevention, and given the financial and negative social costs, “the nation should revise current criminal justice policies to significantly reduce imprisonment rates.” That was the conclusion of a 464 page report put out in 2014 by the U.S. National Research Council under the aegis of the U.S. National Academies of Science, Engineering, and Medicine. The overall prison population in the U.S. has risen from about 200,000 in mates in 1973, to 1.5 million in 2009 – principally due to mandatory sentences, lengthy sentences for repeat and violent offences, and the intensified criminalization of drug-related activity. The U.S. prison population (2014) stands at 2.2 million – in a country with one quarter of the world’s population and only 5 percent of its population. Nearly 1 in 100 adults is in prison or jail, which is 5 to 10 times higher than rates in Western Europe and other democracies. 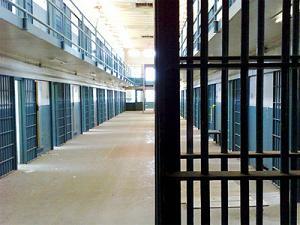 Of those incarcerated in 2011, about 60 percent were black or Hispanic. In 2009, 62 percent of black children 17 or younger whose parents had not completed high school had experienced a parent being sent to prison, compared with 17 percent for Hispanic children and 15 percent for white children with similarly educated parents. The imprisonment rate for blacks (2010) is 4.6 times higher for blacks than for whites. The racialized character of imprisonment in Canada mirrors its U.S. counterpart. Indigenous adults account for 28 percent of admissions to provincial/territorial correctional services, and 27 percent for federal services despite Indigenous peoples making up only 4.1 percent of the overall population. This is an increase of 7-8 percent over the previous decade. Indigenous youth accounted for 46 percent of admissions to correctional services in 2016-17, despite Indigenous peoples making up only 8 percent of the overall youth population. In the jurisdictions for which data was available, Indigenous youth admitted to correctional services increased from 21 percent to 37 percent from 2006-7 to 2016-17. Author and academic Michelle Alexander, quoted above, argued in her provocative 2010 book The New Jim Crow: Mass Incarceration in the Age of Colorblindness, that America’s system of mass incarceration has functioned as an instrument of social control, disenfranchising a good third of the black male population effectively equivalent to the racially segregationist laws of the pre-Civil Rights era. As to the Canadian situation, renowned Mi’kmaq lawyer and Ryerson University Professor Pam Palmater called Canadian prisons as “essentially the new residential schools,” a reference to a century long genocidal practice of using government sponsored religious schools to assimilate Indigenous children into Euro-Canadian society. The mythology surrounding the prison systems in both the United States and Canada are at the thematic core of this week’s Global Research News Hour broadcast. Following our regular review of GR articles, we hear about a crucial hearing in the case of former death row prisoner Mumia Abu Jamal. Documentary evidence has come to light suggesting judicial bias on the part of a former Supreme Court Judge presiding over Mumia’s appeals in the late 90s and early 2000s. Establishing such impropriety in a formal court hearing would clear the ground to launch a new appeal process for the former journalist and Black Panther Party member, now having served over 37 years behind prison bars. Long time Mumia supporter Suzanne Ross updates listeners on next steps. Listeners wishing to show their solidarity with Mumia are encouraged to download and sign the New International Letter to Larry Krassner, and email it to the District Attorney. The link, and more details of the case can be found at freemumia.com. In the second half hour, University of Winnipeg Assistant Professor Bronwyn Dobchuk-Land debunks the mythology about Canada’s prison system fulfilling the function of public safety and deterring aberrant social behaviour. She connects the current model of policing and imprisonment with our society’s embrace of capitalism, and the country’s colonial past, and describes what a process of abolition of the carceral system might look like. Suzanne Ross is a New York City based clinical psychologist, a long-time anti-imperialist activist and representative of International Concerned Family and Friends of Mumia Abu-Jamal. Bronwyn Dobchuk-Land is an Assistant Professor in the Department of Criminal Justice at the University of Winnipeg. Her research centres around the politics of prisons, policing, colonialism, and the carceral state in Manitoba and beyond. This has included a focus on community-level responses to violence, criminalization, and community policing; and community-based crime prevention programming.